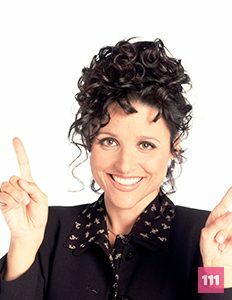 Elaine Benes is assertive and short tempered, she is seen as ‘one of the boys’, sharing the similar superficial dating stereotype that some males possess. Born in New York City, New York. Her birth date is January 13th. Julia also played Christine Campbell in The New Adventures of Old Christine.